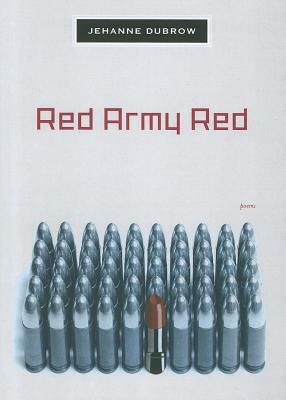 Displaying a sure sense of craft and a sharp facility for linking personal experience to the public realms of history and politics, Jehanne Dubrow’s Red Army Red chronicles the coming of age of a child of American diplomats in Eastern Europe in the 1980s. In the last moments of the Cold War, Poland—the setting for many of the poems—lurches fitfully from a society characterized by hardship and deprivation toward a free-market economy. The contradictions and turmoil generated by this transition are the context in which an adolescent girl awakens to her sexuality. With wit and subtlety, Dubrow makes apparent the parallels between the body and the body politic, between the fulfillment of individual and collective desires. Jehanne Dubrow is an assistant professor of English, creative writing, and literature at Washington College in Chestertown, Maryland. She is the author of three poetry collections, The Hardship Post (2009), From the Fever-World (2009), and Stateside (Northwestern, 2010).